Here's our list of the top 100 reasons we love hunting! 1. You never see camo in a therapist's office. 2. Spending quality time in nature. 3. Perspective: sometimes, you can only see clearly from a tree stand. 5. Hearing sounds we don't usually hear. 6. Seeing sights we don't usually see. 7. The bow and arrow is one of the most primitive and ancient tools in human history. 8. You can never have too much camo. 10. Firearms... lots of different firearms! 11. Long-range shooting is an awesome challenge. 12. Few things are as cool as shooting an AR-15 at a wild hog. 13. Spending time with friends. 14. There's no place like hunt camp. 15. Knowing where your food comes from. 16. Your favorite camo hat serves a dual purpose! 18. Being in nature without anyone or anything knowing you're there. 19. Coming back with amazing stories. 20. There's just something we love about stickers. 21. Getting close to live game. 22. Exercise that's also really fun. 23. There are many life lessons you can learn from hunting. 24. The kick of a 12-gauge shotgun. 25. Trophies make truly one-of-a-kind wall decorations. 27. Competing with your friends. 28. A dirty truck is a sense of pride. 29. It's fun riding on big tires. 30. Being on top of the office brag board. 31. Guns and ammo make great man cave art. 32. You've always wanted to be invisible. 33. Gaining knowledge about animals. 34. Understanding how to field dress a deer. 35. Few things are as satisfying as processing your own meat. 36. You can never have enough knives. 37. Every caliber firearm is good for something. 38. The neverending quest to best yourself. 40. 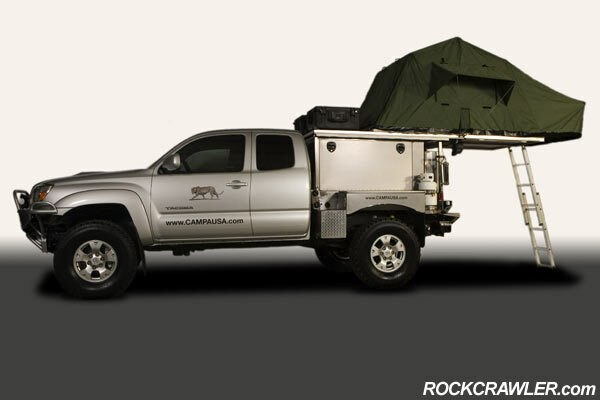 There are a ton of cool hunting accessories for your truck! 41. Create an unbreakable bond with your dog. 42. Few things are as impressive as watching well-trained bird dogs. 43. You get to make weird noises with your calls. 44. See new landscapes and geography. 45. Growing your knowledge of the land you hunt. 46. Nature creates some amazing photos. 47. A man has to decorate his office somehow! 48. Getting to smell things you don't usually smell. 50. Camping gear is awesome. 51. Modern archery technology is fascinating. 52. Your food is organic. 53. Proving to yourself that you can accomplish anything. 56. Sheds can be used for all sorts of cool things. 57. Hunting is a great excuse to purchase an ATV. 58. An ATV is a great excuse to purchase a trailer. 59. Hunting is a great way to pass on family traditions. 60. Seeing your children or youth involved in the outdoors is one of the most enjoyable things. 61. Keeping busy hunting can keep your kids from doing stupid things. 62. You won't have enough money to develop bad habits. 63. You (or your kids) won't want to waste every hour playing video games. 64. There are added benefits to having a safe in the home. 65. Some of your hunting firearms make great home protection. 66. Being in the woods allows you to truly check out from work. 67. No cell signal in the mountains can be an amazing feeling. 68. Trying new recipes with wild game. 69. Create memories to last a lifetime. 70. There's no feeling like successfully harvesting a big trophy. 71. Recorded hunts are fun to watch again and again. 72. Tree stand snacks: There are things that taste better in a tree than anywhere else! 73. Blaze orange is just a sweet color. 74. If you keep climbing trees, you'll never stop being a kid. 75. Every once in a while, you need a good reason to put your truck in four-wheel drive. 77. No two hunts are alike. 78. Getting to watch the sunrise. 79. Getting to watch the sunset. 80. Hunting tools and gadgets are awesome. 81. You can finally put to use what you learned in high school biology dissecting that frog. 82. A cold morning is a great reason for a cup of instant coffee. 83. Fresh game tastes amazing. 84. Grilling over an open campfire is unbelievably satisfying. 85. Getting to see how much you can pack into a truck. 86. Because everyone should know a good taxidermist. 87. Practice time at the range is always a good time. 88. Cold weather hunting gear can serve multiple purposes. 89. Hunt camp food is some of the best on earth. 90. There are some awesome hunting apps for smartphones. 91. Seeing the reaction of others as you drive down the road with a rack in the back of your truck is priceless. 92. You can never have enough pairs of good boots. 93. You have a reason to purchase things like One-Wipe Charlies. 94. It's a never ending excuse to buy more ammo. 95. Seeing others in camo automatically makes you family. 96. It's a great way to spend quality time with your spouse or significant other. 97. It's also a great way to spend time with your Creator. 98. Ground blinds are like the forts we always used to make as kids. 99. There are a ton of cool 3D Targets to shoot at. 100. Hunters know the value of practicing patience.